You wait for one summer visitor first ………. then three turn up at the same time , almost ! 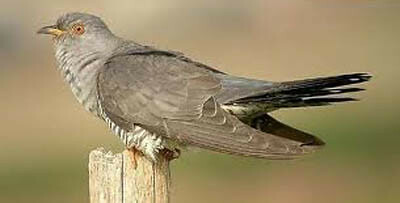 Our first Cuckoo of the year was calling this morning off and on for a couple of hours, it reminds me of a day a year or two back when there were nine individual Cuckoos all calling at various points around the farm ! At last ! about a week later than normal I had a couple of sightings of Swallows this afternoon. I also spotted a Swift this morning flying over. We see Swifts every year at about this time , but not very many and not for long , they must not breed anywhere near here and are just passing through. 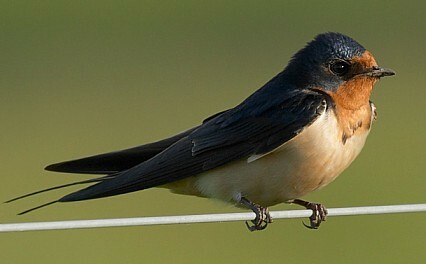 But not our expected Swallows ! 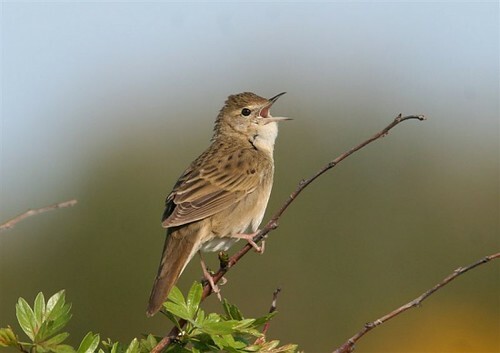 Not my photo of a Grasshopper warbler, we record this species just about every year. As is usual with this bird I heard it rather than saw it today for the first time this year. 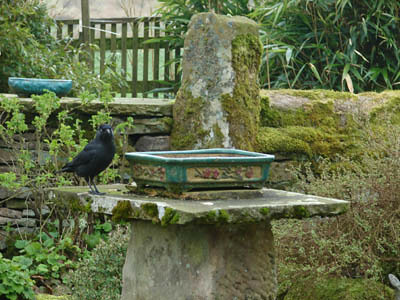 It is in fact quite a hard bird to spot as it skulks about in dense undergrowth , but its call is very distinctive. The best day of the year so far for specie numbers , we hit the ’30 different birds seen or heard on or around Willowbog’ total. Sighted yesterday’s elusive Redpoll but failed to see Linnets again so same number of the finch family today , felt sure that with a walk around the main pond late afternoon I would top the 30 with Willow warbler but no ! just hint of what might have been the start of the song but not positive so it cannot count , also a very brief view of a duck that might have been Teal but again not sure so .. Over the years the most common date for first Swallow sighting has been 21st April so fingers crossed for tomorrow ! However, the 30 days total is way below the all time record for a single day which is 46 on a May day in the 1980 !!! the way things have changed, no more Spotted flycatchers or Whinchats and some others , that is a total that will take some equalling never mind beating !!! 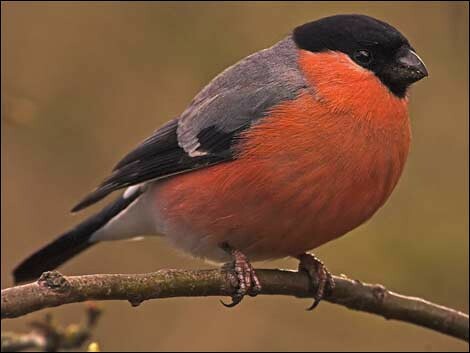 This is a nice bird that we see every year about this time and one was feeding amongst the newly arrived sheep today. 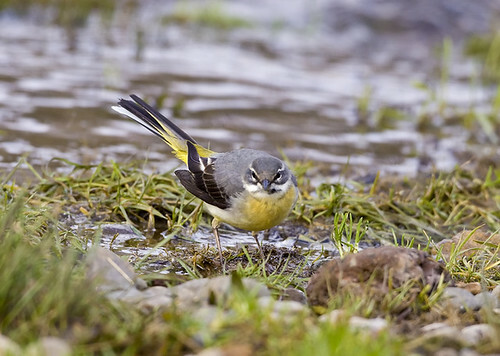 The Grey wagtails that we see are just passing through on their way to higher ground where they will nest alongside the numerous burns that trickle down through the uplands a bit North of here. 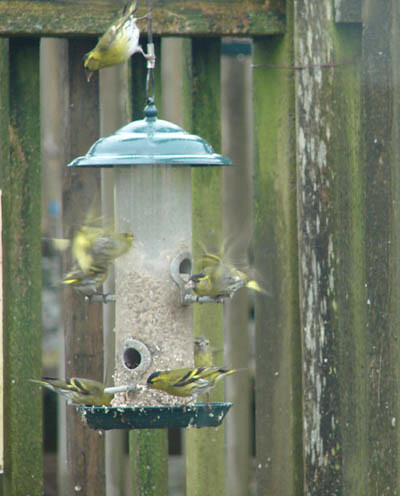 Lovely birds ! 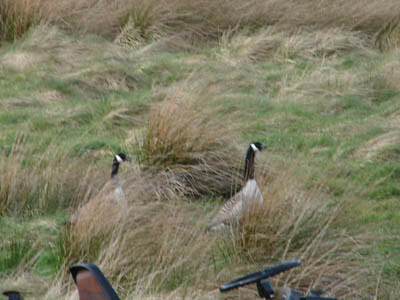 This is a pretty poor photo of a couple of the non breeding Canada geese that seem always to be around the farm. From time to time they have a go at landing on the main pond but are quickly chased off by our resident male, who might well be their father from a year or two back ! Frankly I know where he’s coming from ! !